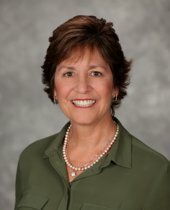 Mary McGowan Anderson, Realtor, was born and raised in Chico, received a BS from UC Davis in Ag Economics and an MBA from Santa Clara University in Ag Finance. She worked as a financial planner for Robert Mondavi Winery until she returned to Chico and joined Coldwell Banker DuFour Realty in 1990. Mary has a wonderful husband and 3 terrific daughters. Mary is committed to outstanding performance with the purchase or sale of your real estate investment, be it a home or a commercial, agricultural, or residential income property. Mary is a top producer and received the International Presidents Circle Award from Coldwell Banker placing her in the top 4 percent of all Coldwell Banker agents internationally. She owes her success to her loyal clientele. Thanks to all of you. If you are looking for honesty, integrity, experience and knowledge, contact Mary McGowan Anderson because every move matters.